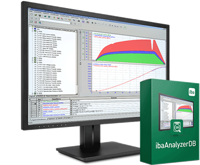 ibaAnalyzer covers a broad array of analysis requirements, in which playback and editing of previously recorded data are the only interests. A uniform interface and control syntax ensures trouble-free training as well. 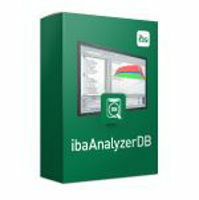 Integrated Feature For Reports - Add-on tool kit for ibaAnalyzer to develop customer report layouts. 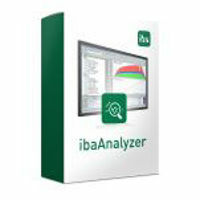 Analysis for external data formats - This package allows to use the functionality of ibaAnalyzer for external data acquisition files or for older iba-files, which are not recorded with the latest iba format. Remote DAT-File extract per post command - Offline data extraction from an original DAT-File into a new file (new format). MS SQL Server, ORACLE - Offline analysis for reading data bases (DB-Reader), multiuser licence for 5 users.